Clth, 6.75 x 8.75 in. / 104 pgs / 88 color / 1 bw. 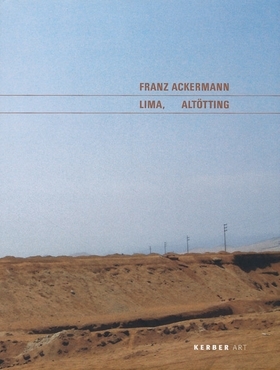 Franz Ackermann, one of today's most admired artists, is also among the most widely traveled. Absorbing the moods of far-flung places, Ackermann makes colorful watercolors that inform larger paintings he calls “mental maps.” This book documents Stadtgalerie Altötting's exhibition of pictures inspired by a bus journey along the west coast of South America. FORMAT: Clth, 6.75 x 8.75 in. / 104 pgs / 88 color / 1 b&w.